How to make the Christmas Spirit a priority. 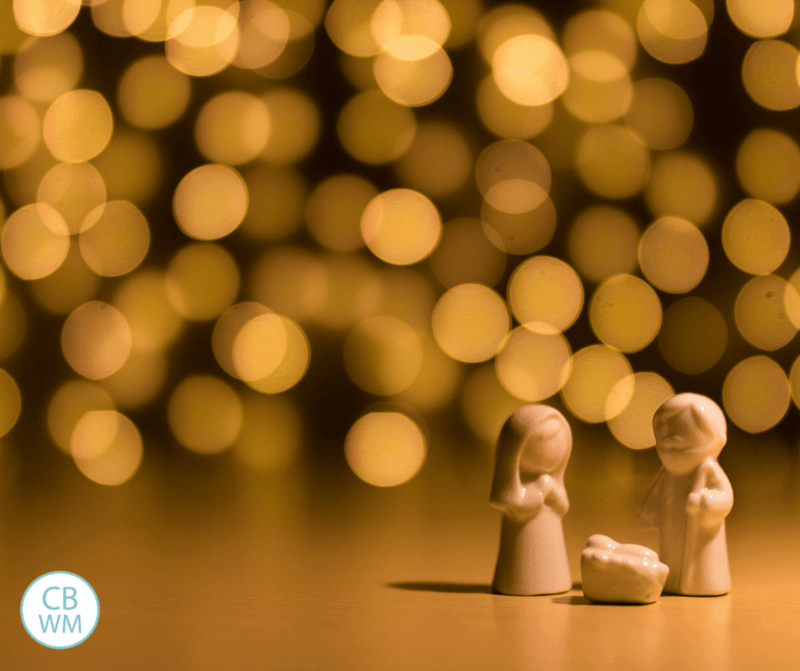 Tips to organize life so you can enjoy the Christmas spirit during December and get away from hustle and bustle. 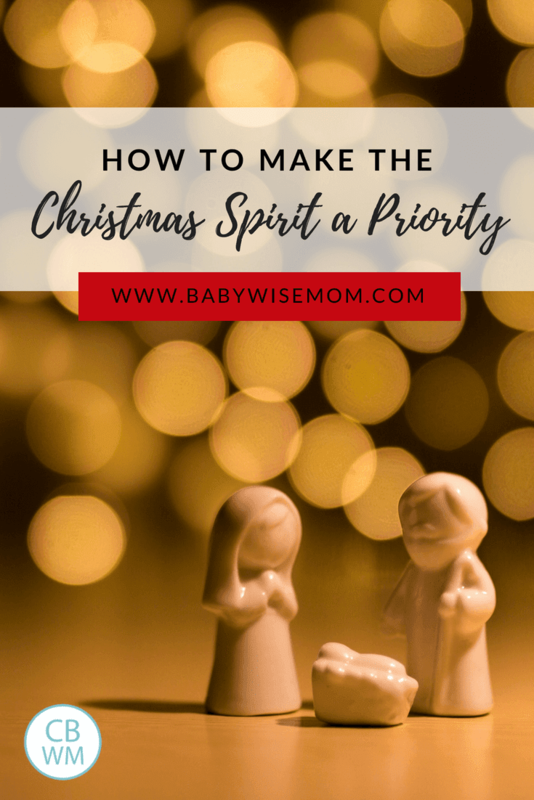 I recently wrote about the Christmas Spirit and included ideas for keeping the Christmas spirit throughout the season rather than letting the hustle and bustle take over the season (and our sanity). And then it really hit me. Keeping the Christmas spirit needs to be a decision we make. It needs to be something we decide to do. We can aide our efforts by cutting out unnecessary items and by incorporating traditions that help us focus on the reason for the season. But we have to make it as high of priority as buying those gifts. We have to add it to our daily to do list just like we do addressing those Christmas cards. We need to make that a planned part of each day. I always like to try to get everything done before December hits so I can enjoy December without worrying about any sort of list. But life is so busy and even if you get an original list done, new things will pop up to add to your list. I have learned that in life, a to-do list is never done. There is always more to do. So if we wait to be “to-done” we will never get to the things that actually are of utmost importance in life. Do you have things that you feel are important but you keep moving to the backburner until you “get on top of things” or “get more time”? I don’t think either of those two things will happen realistically. I have literally started putting things on my to-do list that I feel are important but I find easy to push aside. Something like working with McKenna to learn to read. She wants to learn to read and so I planned to read with her each day. We did it sporadically, but a couple of months ago I literally added it to my list of things to do that day because it was something that was so easy for me to push aside until “later.” Now it is on my list every single day. There are days we don’t do it, but it is because she doesn’t feel up to it, not because I was waiting for life to slow down first. Now when the day is over and I am thinking about what I did and need to do tomorrow, I don’t feel any guilt over McKenna’s reading. And I have decided I need to do the same with the things I have decided will bring the Christmas spirit. The things in life that matter most often also are the things in life that are easiest to make wait for “later.” But when we put the most important things first, we seem to still always have time for the rest of things. ““True happiness comes only by making others happy—the practical application of the Savior’s doctrine of losing one’s life to gain it. In short, the Christmas spirit is the Christ spirit, that makes our hearts glow in brotherly love and friendship and prompts us to kind deeds of service.